Venezuela is facing an unprecedented crisis: Millions are fleeing the country due to shortages of food and medicine. Does this prove the failure of socialism? 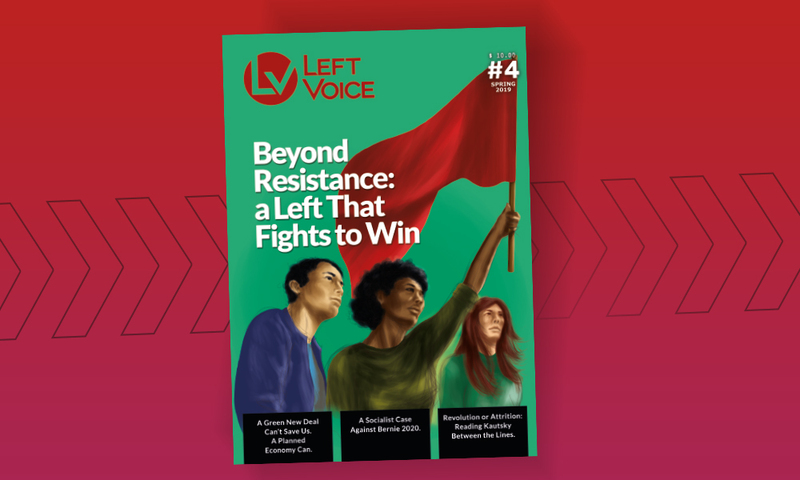 To better understand the situation in Venezuela, Left Voice spoke with Milton D’León, a Marxist worker from Caracas and editor of our sister site La Izquierda Diario Venezuela. First off, can you give us your impressions of the crisis in Venezuela? The current social and economic crisis in Venezuela is devastating. The workers and poor masses are living in a catastrophic situation where hyperinflation has pulverized their wages. A bottle of cooking oil can cost as much as the minimum wage for two months! Public services like health care, transport, energy, water, etc. are crumbling. Millions of people have already emigrated from the country. The situation faced by the masses has been unbearable for a while. 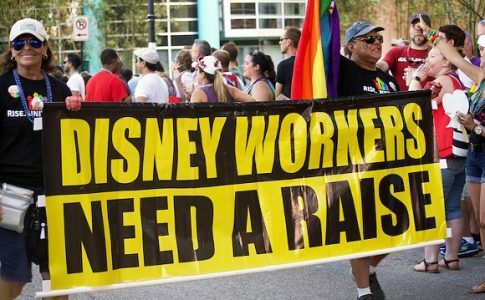 Workers have been demanding a living wage sufficient to support a family, which is an important sign of increasing social unrest. 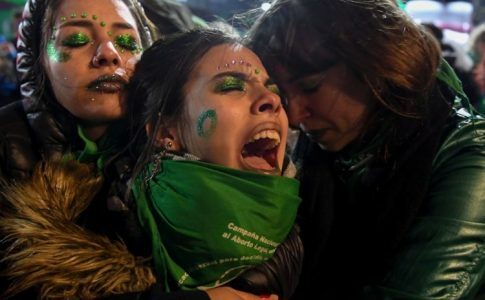 The government responds to these demands by ignoring them, as in the case of the indefinite strike by the nurses, or resorting to intimidation if not direct repression. 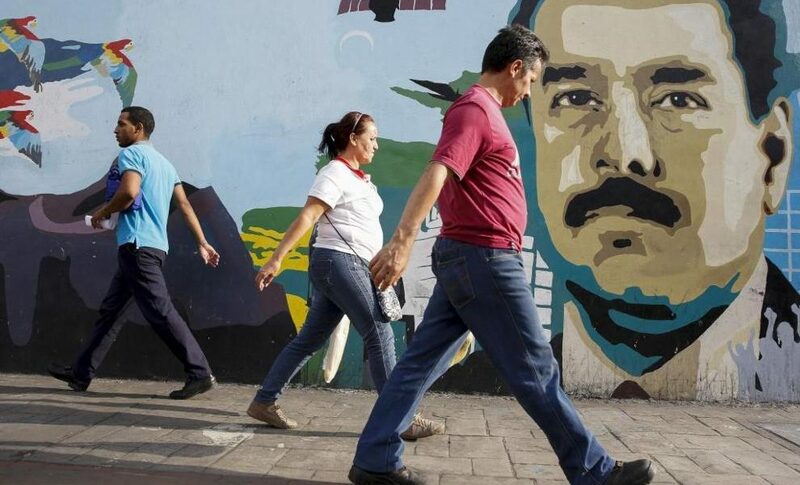 Recently, President Nicolás Maduro has announced a series of “economic measures” which are supposed to “turn the economy around.” In reality, the goal is to ensure the survival of Chavismo’s upper state bureaucracy and the profits of big capitalists. In other words, these are reforms directed against the workers and the poor. 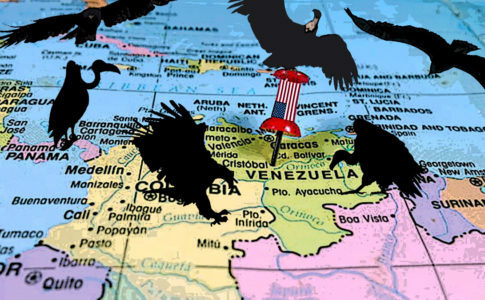 The Maduro government claims that the crisis has been orchestrated by US imperialism. 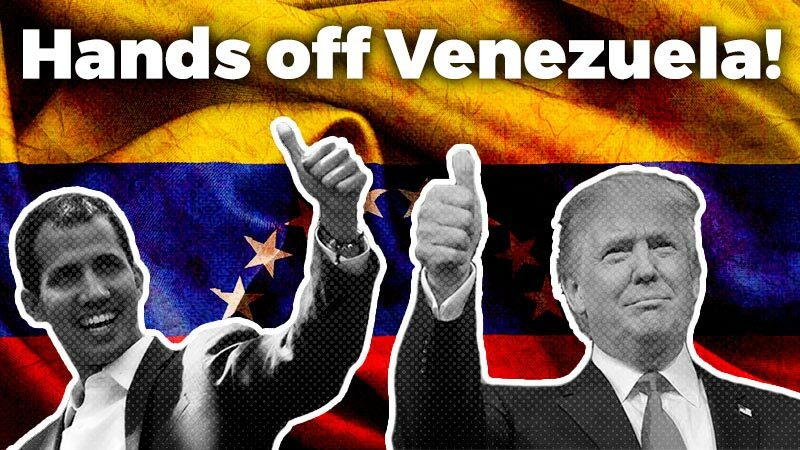 US imperialism has been plundering Venezuela for more than 100 years — this has been the case regardless of whether Bush, Obama, or Trump were in the White House. The most violent example was the attempted coup against Hugo Chávez sponsored by the US in 2002. From the beginning, the Chávez government always had frictions with US imperialism because it wanted more elbow room in economic questions. But Chávez never broke with imperialism. The big oil multinationals have always been active here, and they repatriated their profits as they would in any other country. The international financial sector is active here as well. There have been other measures. For example, the Maduro government can neither refinance nor restructure the foreign debt. So they just continue paying it! Let me point out that the Venezuelan government has paid its foreign debts religiously, especially during these years of economic catastrophe. Its decision was to respond favorably to international creditors and imperialist financial capital, while the Venezuelan people have been suffering enormously. Of course, we reject all imperialist interference and aggression. Settling scores with Maduro is a task for the working people of Venezuela, not for the government of some foreign imperialist power. We also reject the terroristic methods used by the right. Does the crisis in Venezuela prove the failure of socialism, as many on the right claim? In Venezuela, it isn’t “socialism” that failed. What failed is a policy that kept Venezuela dependent on oil revenue, a policy that guaranteed the profits of bankers and businessmen, while the people suffer from hunger. The government based itself on the armed forces, in a permanent state of emergency that grows more repressive with time. Private property in Venezuela was always defended, and during the oil bonanza the capitalists prospered. This was accompanied by a limited distribution of income via social programs, based on the oil boom. But as oil prices plummeted, the government had nothing to offer but the colossal economic and social crisis that we are experiencing. We have been living in a desperate situation for three years now. The government distributes boxes of food (essentially made up of carbohydrates) which are imported at subsidized prices. These only go to certain sectors and do not alleviate the hunger of the people. The government of Maduro and the PSUC presents itself as ‘socialism of the 21st century.’ So you don’t think Venezuela is a socialist country? No. Absolutely not. “Socialism of the 21st century” was nothing more than a fraud. It was a farce made up of “socialism” in words, but the defense of capitalism in deeds—and not just any capitalism, but a rentier economy totally dependent on oil. In Venezuela, from every $100 that enter the country as foreign exchange, $97 is for oil, and the rest is for other minerals. Chavista “socialism” did not even develop national industries. Venezuela never stopped being a capitalist country. In the beginning, the government attempted to make some social reforms, but it never encroached on the privileges of the big businessmen and capitalists. Even the National Constitution respects and preserves the right to private property. There was talk of “communes”, but the Chávez government was always based on the bourgeois state and especially the armed forces. What is the situation of the workers’ movement in Venezuela today? In the midst of the ongoing catastrophe, workers have started to raise their heads. A wave of demands for a living wage is sweeping through the country. Workers want a wage that is enough to feed a family—that demand is being made in protests every day. There are some tendencies towards the coordination of these struggles. The economic crisis is bringing people into the streets to fight for their demands. 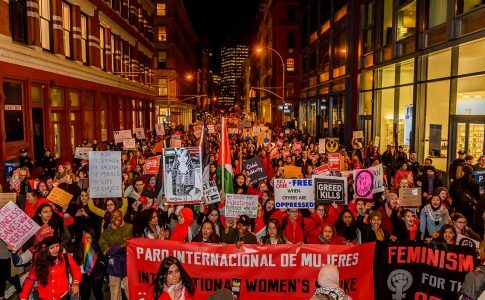 It is a fact that the struggles of the workers are becoming visible on the national stage, with ever greater sectors of the population joining protests or organizing in their workplaces. Just a few months ago, the workers’ movement, at a national level, appeared largely impotent. 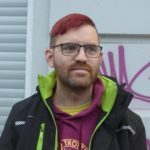 Today, however, this situation is starting to change with new struggles taking place across the country, including by national trade unions such as the nurses’ unions. Several socialist groups joined Chávez’s party, the PSUV, to connect with the masses and push the party to the left. How have these projects fared? The policies of the groups that joined the PSUV were a great failure — not only for their own forces, but also because they helped drag workers and poor people into a bourgeois nationalist project. Instead of pushing the PSUV to the left, they helped maintain the illusion that Chavismo could offer real change to the people. They were carried away by Chávez’s siren songs. As minoritarian political projects, they joined the ruling party and became its enthusiastic militants. Now that Chavismo has failed, they continue to claim that the current crisis is a result of Maduro abandoning Chávez’s legacy. Groups like “Marea Socialista” have left the PSUV, but they left with less forces than when they entered, and they still talk about “defending Chávez’s legacy.” Other groups like the International Marxist Tendency of Alan Woods are still in the PSUV’s ranks, with a “critical” discourse but remaining part of this project. They have not made a balance sheet of these failed policies. In the name of “entryism” they joined a bourgeois nationalist movement, a policy which contributed to the great political confusion of the workers’ movement. As a result, many workers have difficulties seeing a political solution to the current situation. If it is not socialist, how can we understand the Venezuelan regime in Marxist terms? In the beginning, the Chávez government had features of a bonapartism sui generis turning to the left, to employ Trotsky’s terminology when describing the government of Lázaro Cárdenas in Mexico, including friction with imperialism due to economic maneuvering. This element has been lost. In the midst of economic debacle and the decay of Chavismo, which is based on the power of the armed forces as the central pillar of the regime, we can say that a reactionary bonapartism has been consolidated. After the government lost its majority in the legislature in 2015, the Maduro government resorted to the most intricate bureaucratic maneuvers, while strengthening its control of the rest of the state powers, including the judiciary and especially the armed forces. This meant an advance towards a supra-parliamentary phase of bonapartism. In order to maintain appearances, Maduro had to create, from one day to the next, a totally fraudulent “National Constituent Assembly” made up solely of Chavista personnel, which received plenipotentiary and supra-constitutional powers. This is just a cover for the power of the high bureaucracy, military and civil, of Chavismo and the governing party — it is an instrument of bonapartist cliques. This is a short Marxist definition of the form of government, regime, and state. What would a socialist policy in Venezuela look like? Revolutionary socialists in Venezuela continue to fight for the construction of a revolutionary workers’ party. We call for redoubling the struggle for an independent political organization of the working class, confronting the reactionary bonapartism of Maduro and his clique, as well as the plans of the pro-imperialist right. The workers are the only social force that can offer a progressive solution to the monumental crisis. In order to do this, the proletariat needs to close ranks and fight for its independence from the government, from the state and the bosses’ parties, as well as from imperialist interference. We need the perspective of fighting for a government of the workers and poor people.